Johanna Pinzler grew up in New York with an early love for theatre and live performance that has never dwindled. After receiving her BA in Theatre and Drama at The University of Wisconsin – Madison she returned to New York where she worked as an actor and singer for 11 years before returning to get her M.F.A. in Acting from Brooklyn College. Since completing her Masters she has worked primarily as a director, teacher and audition coach. As a director, she has spent most summers since 2007 as a Resident Director, Artistic Associate and member of the adjunct faculty at Summer Repertory Theatre, a full rotating rep theatre housed on the campus of Santa Rosa Junior College. For SRT she has directed productions of Neil Simon’s The Odd Couple and Noel Coward’s Present Laughter, Little Shop of Horrors, Avenue Q, Company, The 25th Annual Putnam County Spelling Bee (Winner: Broadwayworld.com “Best Director 2010” San Francisco/Bay Area), Kiss Me Kate, and Tick Tick Boom. She also served as Choreographer on The Mystery of Edwin Drood and Working. 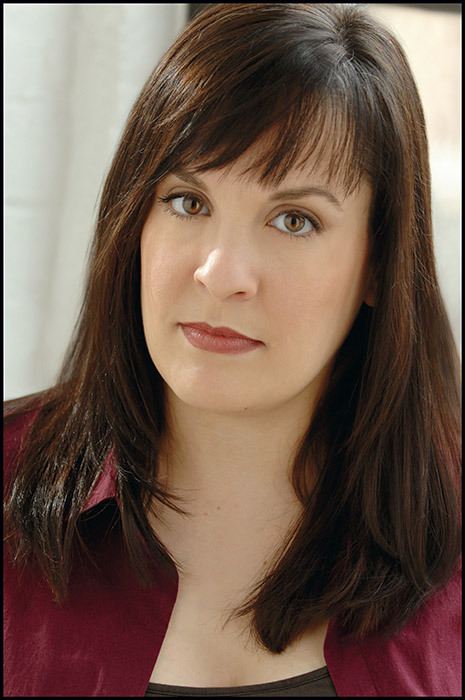 In the 2016 season Johanna is thrilled that she will be directing Mark Camoletti’s farce Boeing Boeing. Johanna currently serves on the adjunct faculty of New York Film Academy’s Musical Theatre Conservatory, Bronx Community College (CUNY) and Marymount Manhattan College where she directed productions of The Most Massive Woman Wins and Dr. Chekhov Makes a House Call. She has also served as an adjunct at Brooklyn College and Cap 21 (with both their NYU and Professional Programs). She also directed 2 Industry Showcases for Cap 21. In Fall and Winter of 2016-17 she is looking forward to creating and directing a wholly original movie musical as a showcase for graduating NYFA Musical Theatre Conservatory students. In the summer of 2013 she was thrilled to return to Millbrook Playhouse in central PA to direct Always Patsy Cline for their 50th anniversary season. She spent the summers of 2000 and 2001 at Millbrook as an actor where, among other roles, she played Patsy Cline to rave reviews. As an actor Johanna has worked all over the United States both on tour and regionally. Some of her favorite roles include Lucy in You’re A Good Man Charlie Brown (multiple productions), Kathy in Parallel Lives: The Kathy and Mo Show, Patsy in Always Patsy Cline (multiple productions), Jo/Mae in Dirty Blonde, Miss Hannigan in Annie, Mrs. Fezziwig in A Christmas Caroll (Cronin/Fullarton) and Suzette in Don’t Dress For Dinner. From 1997-2007 She served as Co-Artistic Director of Ergo Theatre Company, a non-profit dedicated to the development and production of new work by up and coming playwrights, composers, actors, directors and designers. During this time she produced and often acted or directed in 7 fully mounted Equity Showcase productions, multiple developmental readings and workshops as part of the Ergonomics Series and dozens of special events. Johanna is proud to have directed concerts, cabarets and special events at venues all over New York City including 54 Below, Birdland, The Duplex, Tonic, City Center, Don’t Tell Mama, The Cutting Room, The Triad, Feinstein’s at The Regency and The Metropolitan Room. She has also directed staged readings of two new musicals by award-winning composer/lyricist Bobby Cronin, produced by Judy Kent (Evita, Driving Miss Daisy). Johanna coaches clients privately in Brooklyn or Manhattan. She specializes in contemporary and classical monologue selection and coaching, sides preparation, musical theatre audition prep and graduate school auditions. Past clients have appeared on Broadway or in National Tours of Jersey Boys, Wicked, Memphis, Lysistrata Jones, A Little Night Music, Bonnie & Clyde, Anything Goes, Sister Act, American Idiot and Beautiful: The Carole King Musical. She has also helped students gain admission to graduate acting programs at The Denver Center, The Classical Conservatory at George Washington University, University of Iowa, American Conservatory Theatre and NYU Tisch.